No CLG tonight to show off my new diamond socks. So instead I headed to Nandos in Cardinal Place with Grace! 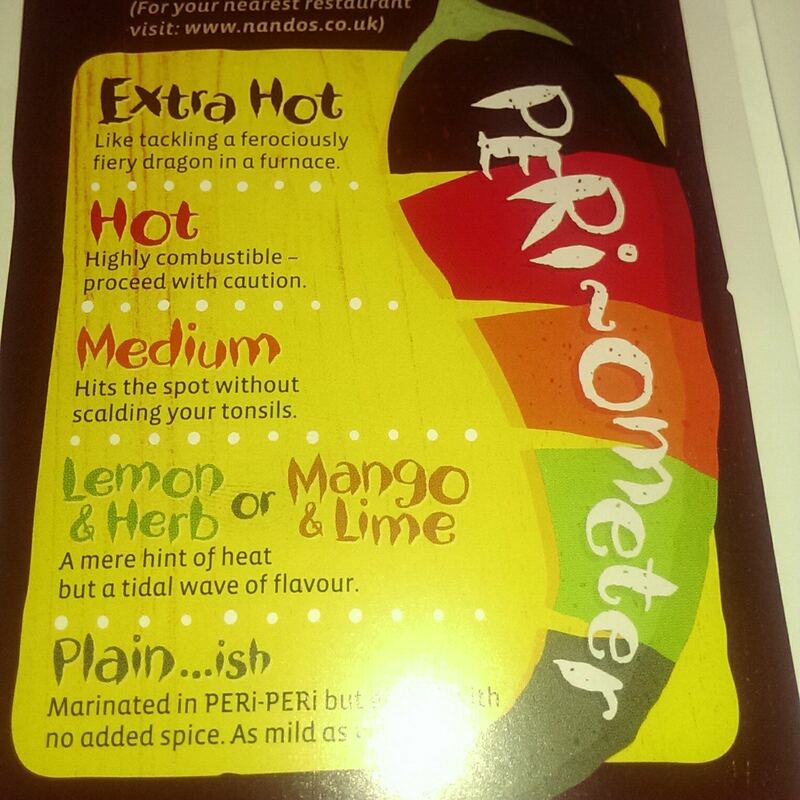 It’s been a whilst since I’ve had Nandos, and I only ever usually go for Lemon & Herb on the Periometer. I was surprised we ended up there as Grace is a vegetarian, but she loved the Beanie Burger and Bottomless Frozen Yogurt. It was a nice time just to chat and discuss the Weekend Away.